This week defence issues have been a bigger part of the election campaign than they were previously. The two big events on the calendar were Kevin Rudd’s address to the Lowy Institute  and ASPI’s great debate between Mike Kelly and David Johnston . Along with the debate, The Strategist ran statements on their respective defence policy from Liberal, Labor, and the Greens yesterday—available here . The big revelation came on Tuesday, when the Prime Minister suggested  that a Labor government would look at moving the Royal Australian Navy’s basing in Sydney to Queensland and Perth, and expanding Darwin and Broome. ASPI’s Andrew Davies examined some of the challenges this suggestion poses here . The plan has drawn fire from several quarters, including Murdoch  and Fairfax  press, and a run-in between Kevin Rudd and NSW Premier Barry O’Farrell . Sam Bateman put the contrary view, arguing that the Navy should plan to vacate Sydney Harbour here . ASPI Director Peter Jennings has also written  in The Australian on the idea of increasing defence spending to 2% of GDP, which both parties say they aim to achieve. The reality is that the 2 per cent figure is an arbitrary one, with no real connection to an assessment of what Australia really needs to spend on defence. It shouldn’t be used as a benchmark for defence planning. The only virtue of the figure is that both major parties have started using it as a target to increase the current budget. The other story this week for Australian defence analysts has been watching the US response to (what is now accepted as) chemical weapons use in Syria unfold. This time yesterday it looked almost certain that President Obama was going to go with precisely the approach that Eliot Cohen (who conducted the USAF Gulf War Air Power Survey) said wouldn’t work . The momentum has slowed a little, in part because Britain’s Parliament voted against action in Syria . The rejection of action in Syria by British MPs is also said to have damaged Prime Minister David Cameron’s political position . Lost track of what’s going on with this whole Syria thing? The BBC has a useful roundup here . The crisis has also give rise to mountains of analysis on the subject. But here are a few options, including the observation that action is not synonymous with force , this collection of analysis from the Center for a New American Security  (in particular Patrick Cronin’s piece, ‘Where is Asia? ‘), and this piece in Foreign Affairs on the options other than military force . It’s not only a strategic issue for Obama, it’s political too. 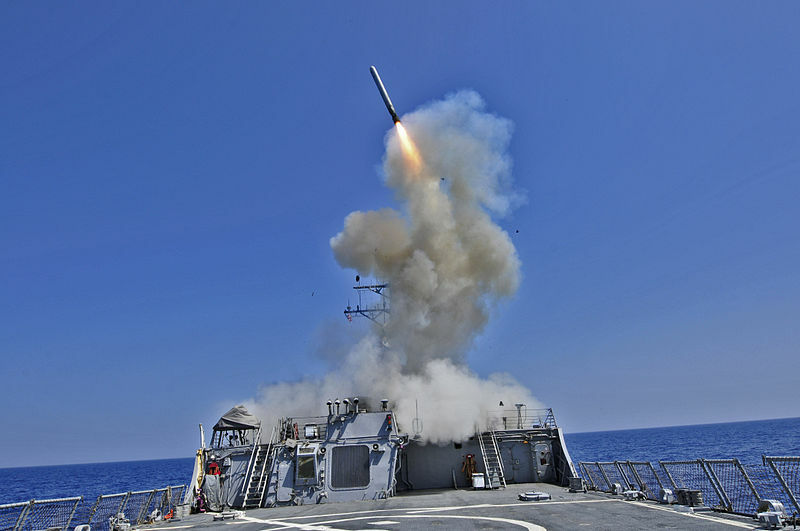 Democrats are reportedly expressing concerns to President Obama that the goals of a Syrian strike are unclear . House Speaker and Republican John Boehner also sent the President a letter criticising Obama’s lack of consultation with lawmakers about possible Syrian strikes . Then yesterday, Obama reportedly briefed Boehner by phone on the situation . Speaking of transparency Edward Snowden has leaked a 178 page ‘black budget ‘—a summary from the National Intelligence program in the United States of some of the inner workings of the 16 spy agencies in the US intelligence community. I am not sure that a treaty banning nuclear weapons with yields of below five kilotons is a workable solution to the threat posed by so-called non-strategic nuclear weapons… The short version of my argument is that the nuclear weapons most likely to be used have yields in excess of the treaty’s five kiloton threshold, the treaty is so unverifiable that it will amount of a meaningless political commitment that no one takes seriously and that a much better solution to the development of “more usable” nuclear weapons would simply to bring into force the Comprehensive Nuclear Test Ban Treaty. Canberra: Major General Jeff Sengelman, Head of Modernisation and Strategic Planning for Army, will be presenting on Army’s modernisation program , hosted by RUSI ACT at Spender Theatre, Australian Defence College, on Thursday 5 September at 6pm. Interested in a PhD in national Security? ANU’s National Security College is hosting an information evening  at the Crawford Building on Wednesday 18 September at 5pm. Melbourne: What are the new federal government’s foreign policy priorities? Senior correspondent for The Age in foreign affairs and politics Daniel Flitton will be presenting at AIIA Vic on Tuesday 10 September at 6pm. Perth: AIIA WA is hosting a networking opportunity for young scholars interested in a career in international relations . Held at Curtin University, it’s on Wednesday 4 September at 6.30pm. Image courtesy of Wikimedia Commons .